The aim of the PhD Forum of MCSoC 2019 is to provide PhD students a supportive environment to discuss their research proposal, practices and methods, and to promote networking and collaboration. The PhD Forum is an opportunity for students to obtain helpful feedback of their research from leading academics and practitioners in the conference related themes. PhD students working in any area addressed by one or more topics under the MCSoC 2019 symposium main tracks can submit a paper describing the core problem of their PhD research and its relevance by providing a clear statement of the problem they intend to address, the motivation of the interest and novelty of the underlying research challenges, the explanation of the main ideas by examples, and a description of the proposed research plan and expected results. All submissions should be no more than 8 pages and formatted according to the IEEE Computer Society Press proceedings style guide and submitted electronically in PDF format. Please register as authors and submit your papers using the MCSoC 2019 PhD Symposium management system. Submissions must be single-author, on the topic of the doctoral work. The name of the supervisor must be marked on the paper (under the author’s name). Problem: describe the problem that must be solved by the PhD student and motivate its relevance. Motivating Scenario and Research Challenges: present a simple scenario in a specific application domain to motivate the research and highlight its challenges. State of the art: position the work with respects to relevant related work. Methodology: present the methodology that will be adopted. Current Status: describe the current status of the work and the preliminary results that have been already reached. Research Plan: conclude specifying the plan for the overall PhD. 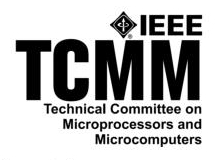 If accepted, authors shall prepare a final ccamera-ready version of the paper formatted according to the IEEE CSP proceedings style guide. PhD Symposium papers will be advertised in the final program and will be submitted to IEEE Xplore as part of the MCSoC 2019 proceedings. Papers will also be available as part of the IEEE Digital Library. Each submission will be reviewed by at least three experts of the PhD Symposium organization and will be evaluated in terms of their relevance to the MCSoC 2019 topics, motivation and research challenges, soundness of the methodology proposed and feasibility of the research plan. Each accepted paper will have two different opportunities to be presented. Besides the full presentation during the PhD Symposium sessions, during the main conference, a “PhD Elevator Session” will be organized where each PhD student will showcase his/her research shortly (4mn presentation).